UFC light heavyweight phenom Jon “Bones” Jones explains the secret that was behind his ability to handle Ryan “Darth” Bader so easily at UFC 126 earlier this month. UFC superstar Jon “Bones” Jones talks with Darren and the guys about his recent win over Ryan Bader at UFC 126 and his upcoming title fight with “Shogun” Rua at UFC 128 next month. UFC bantamweight Miguel Torres stops by the Press Box to talk about his win over Antonio Banuelos. The guys recap UFC 126 and discuss the issue of teammates not wanting to fight each other. 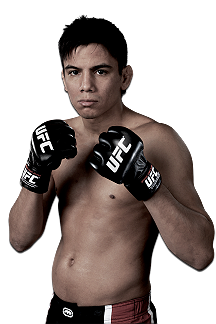 Miguel Torres will join Darren and the boys to talk about his win over Antonio Banuelos at UFC 126. The guys will also recap UFC 126 and look at this Saturday’s upcoming Strikeforce card. Is Ryan Bader still a contender after losing to Jon Jones at UFC 126? Kelvin Hunt takes a look at Ryan Bader’s loss to Jon Jones at UFC 126, and wonders if Bader is still a contender in the UFC light heavyweight division. Kelvin Hunt takes a look at the five biggest story-lines coming out of UFC 126. What’s next for the biggest winners, and is Anderson Silva the greatest of all time? The UFC has formally announced the UFC 128 main event between light heavyweight champion Mauricio “Shogun” Rua and fast-rising challenger Jon Jones. The Nevada State Athletic Commission released the UFC 126 medical report on Monday showing that Forrest Griffin has a possible broken foot and Jake Ellenberger possibly fractured both hands. 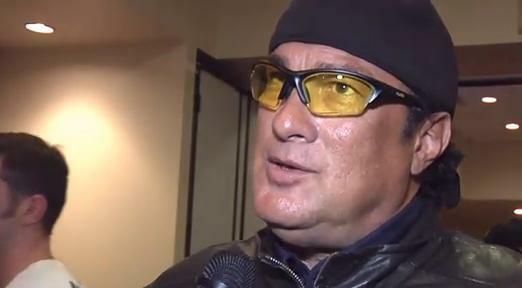 Martial arts movie legend Steven Seagal talks about the front kick he taught Anderson Silva which “The Spider” used to knockout Vitor Belfort at UFC 126.